This site is dedicated to keeping baseball for teenagers in Arlington. Register now to play in a division that has 15-19 year olds enjoying the great game of baseball.  Click on the registration link to create an account and register a player or to volunteer. Questions? You can e mail info@aswba.com for more information. The spring season will begin in early March and continue through the end of May. External links are provided for reference purposes. Arlington Southwest Baseball Association is not responsible for the content of external Internet sites.